“Eat after they eat, sleep after they sleep. Never give them an order if you don’t understand what it’ll mean they’ll have to do.” Good advice for how to run a military. These are the words of Brian Luther, captain of an American aircraft carrier, related to a journalist from The New Yorker last month. We would like to think that the commanders of the IDF and their civilian bosses think the same way. However a recent incident in which a Nahal Brigade soldier was filmed cocking his firearm in Hebron and was criticized by his commanders, seems to have struck a chord among soldiers and the public. Draftees have taken to Facebook, faces covered by signs, declaring “We are David the Nahalawi” in solidarity with him and against what many see is a double standard of politicians and higher ranking officers. The notion is that the higher ranks don’t “eat after they eat,” don’t “sleep after they sleep” and routinely give orders the full implications of which they don’t understand: guard checkpoints; stand in the middle of youth shouting insults at you; take abuse everyday; get paid NIS 800 a month as a “combat soldier” to basically do a traffic policeman’s job, while being held to higher standards than the policeman. How did it come to this? The army has had miniature mutinies before. In March 1978, 348 soldiers signed a letter to Menachem Begin. They wrote: “We feel obliged to call upon you to prevent taking any steps that could cause endless problems to our people and our state…. A government that prefers existence of settlements beyond the Green Line to elimination of this historic conflict with creation of normalization of relationships in our region will evoke questions regarding the path we are taking…. The power of the IDF is in the identification of its soldiers with the path of the State of Israel.” Powerful words. The soldiers, mostly Labor Zionists, were also hypocrites in a way. They hadn’t minded creating settlements in the Golan or Jordan Valley for their ideological cousins. 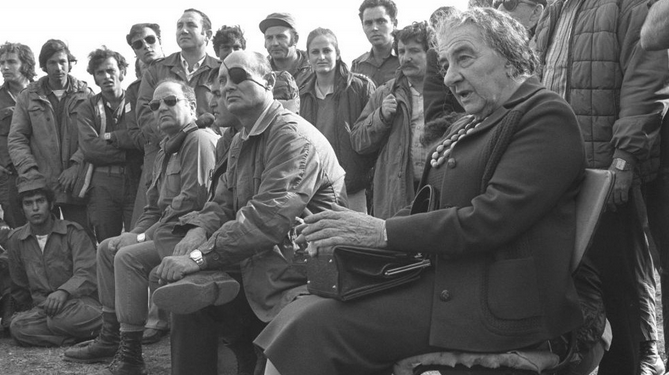 They hadn’t minded as long as it was under the hand of Golda Meir and Yitzhak Rabin – but when Menachem Begin came to power in 1977, they felt alienated. The politicization of the army has always been viewed as a dangerous problem. Political campaigns are not supposed to involve the army. Generals are given a cooling-off period when leaving the IDF before they can run for public office. But nevertheless over the years there have been various “pilots letters” or “soldiers letters” from elite units saying that they will not go on missions. What the army fears most of all, though, is the straw that will serve as a breaking point. For 47 years the army has served as a police force in the West Bank. We have gotten so used to the idea that a “normal” job for a soldier is to man a checkpoint or sleep in a caravan in an isolated Jewish community that one can hardly imagine what the bulk of the IDF did in the period before 1967. A professional army might wear down after years of this kind of service (Check out my piece with Mati Wagner at Tablet on this issue). If a career soldier was asked to man checkpoints for 20 years, she might come to the point where she would not view such a job as “soldiering.” But a constant stream of recruits doing mandatory service, cycled in and out of the West Bank, in and out of places like Hebron, create a cycle where the “service” of standing around and chasing stone throwers or dealing with recalcitrant youth who shout insults and may or may not be carrying knives, or with elderly women cursing you, doesn’t wear down an infantry brigade, because the soldiers are always new to it. This is a telling statement. They claim Facebook is not a “channel for dialogue.” So what is the channel for dialogue for soldiers who feel they are being sent to do a job that not only will their higher-ups often not do, but in the performance of which they are not supported? Can they ask the commander, “Why am I given am M-16 and trained to go on night missions, when my job consists of standing around while 10-year-old children curse me on their way to school?” Can they ask, “Why is it that a policeman in Tel Aviv could detain children who curse and put cameras in his face to provoke him, but here I must stand like a statue?” We know Israel sends more soldiers to prison per capita than other armed forces – fully 14,000 IDF soldiers a year are sent to prison. Perhaps these soldiers do not feel that they have such a clear “channel” of dialogue. For instance, a commander serving in the West Bank was known to have a wife who was a supporter of Machsom Watch. The soldiers felt that with one hand the commander’s wife’s friends reported on them and encouraged their imprisonment for infractions, and on the other their commander sends them to man the very same checkpoint. That is an impossible situation and goes to a heart of a disconnect where the lowest-level soldiers are held to the highest standards, while the commanders have less responsibility. But the real thing is taking place 40 kilometers away. It is like making light of the show ‘survivor’ when people are stuck on an island a few miles away. No one in the video asks why it is that soldiers have to deal with children and elderly grandmothers in the first place. Isn’t that a job for social workers? Among the photos posted in the Nahlawi campaign was one showing a soldier’s hands tied while being faced with stones, knives and Molotov cocktails. 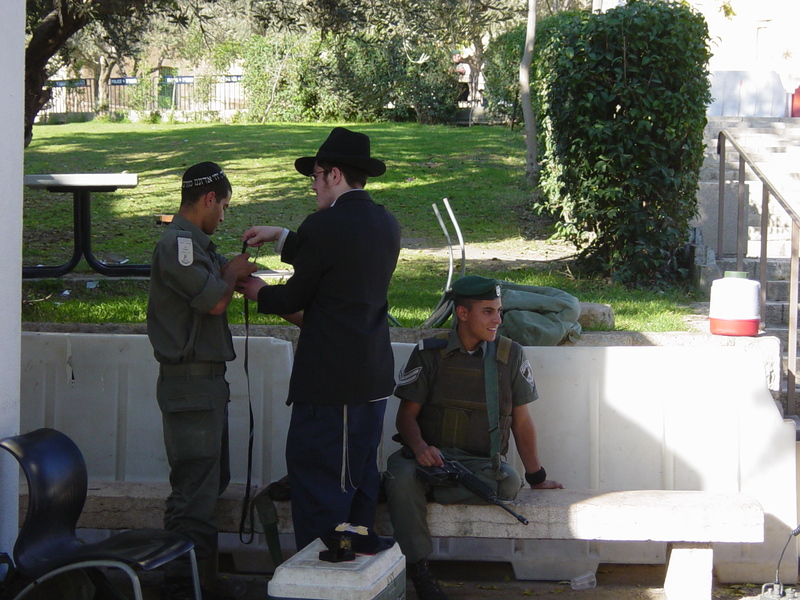 Many claim IDF soldiers do not possess the right tools to deal with the situations they face. And this is patently true. He is often equipped with an M-16, not riot gear. It is alarming that for 47 years – longer than the Jordanians or the British ran the West Bank – Israel has been sending its youth to be soldier-police. Is there a plan to change this scenario? To wake the army from its sleep? To stop sending soldiers to prison and start thinking intelligently about how best to control parts of the West Bank that Israel is serious about preserving its control over? Until that time we will all continue to be David the Nahalawi. ← Time for Israel to consider a volunteer army?